With over a decades’ experience in arboriculture, all aspects of Tree Felling, Tree Pruning, Hedge Maintenance and Brushwood Chipping carried out throughout the South Hams in a professional & safe manner. 15 Years Experience, Local Professional Tree Services, Fast Response, Emergency Tree Surgery, Knowledgeable, Safety Conscious, Professional & Friendly. With over a decade of continuous experience in Arboriculture, working on domestic, council and rail contracts I have worked in some of the most demanding and safety-conscious environments to be found in the UK. I value quality above speed and have decided to become self-employed since moving to Devon from the South East. I have both the RFS Certificate and National Certificate in Arboriculture from Moulton College, including NPTC qualifications for climbing, aerial rescue, aerial and ground chainsaw use as well as Safe Use of Pesticides, which also includes LANTRA Brushcutters. Hedges are an important feature of any garden, not only providing structure and definition but also providing a home for much of our most cherished wildlife. Let A G Trees give them the attention they deserve. Trees are a great asset to our environment, but without management they can become a nuisance, or even a hazard. A G Trees can advise on and carry out a range of management techniques to help you enjoy your trees. 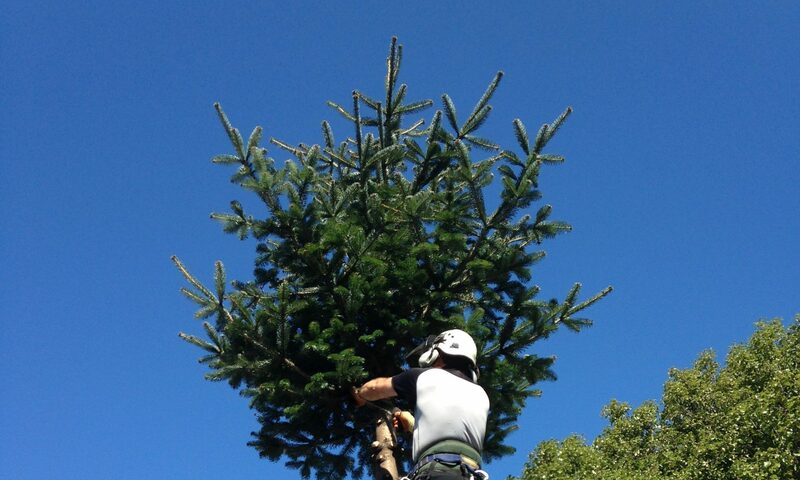 A G Trees offer an hourly rate for both ‘climbing work’ (anything done from a rope and harness, or more than 6ft off the ground on a ladder or other platform) and ‘ground work’. This is subject to availability and a minimum charge of 2.5 hours.